Playing with shapes and forms and a mosaic of bluegreen bouncing off the sparkle of diamonds, our Georgia© Collection presents the personal musings of our lead designer – Georgia Alexandra to bring spontaneity to special moments. 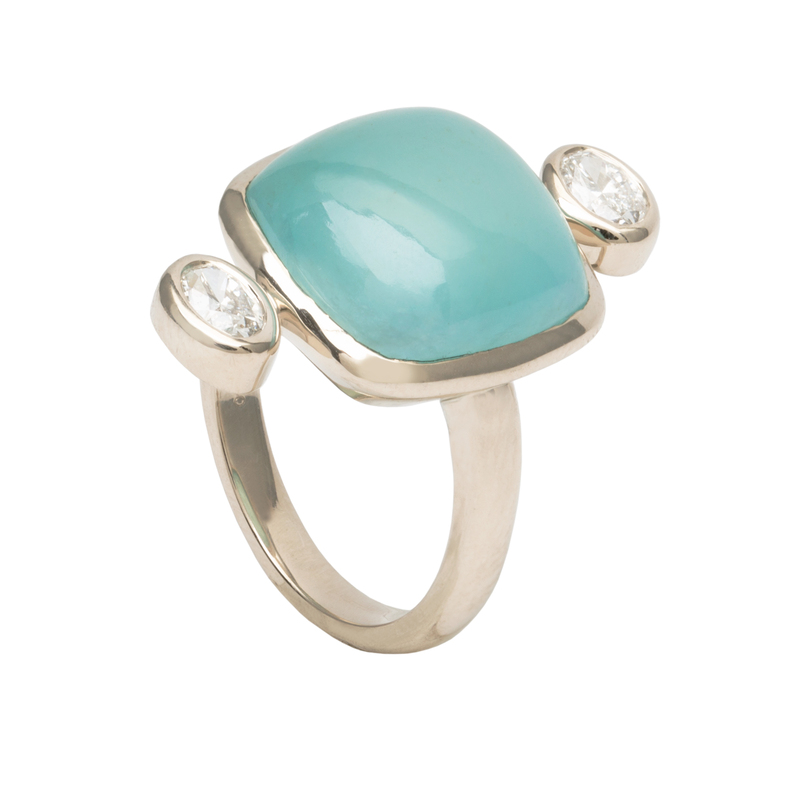 A precious Aquaprase ring accentuated by a pair of brilliant Oval Diamonds set in 18K white gold. The gemstones used are one of a kind. Natural variances may occur adding to their uniqueness and beauty.